The AXOR INDUSTRY Plant for the production of window and door fittings improves the automated workshops. A new machine is being prepared for the installation; it will assemble the window lock mechanisms. Such equipment is widely used at German factories, but this is the only machine on the territory of Ukraine. The robot will perform the function of an entire assembly line. Even though the finished product consists of two dozen parts, the robot will be able to assemble twenty units per minute. This is about 10-12 thousand units per shift. At least three operators are required to service the robot and monitor its operation. The robot will also be able to separate defective products from those properly performed: the machine stops and the operator implements troubleshooting if the parts do not meet the specified parameters. The AXOR INDUSTRY has been having an automated workshop since its opening in 2012. The workshop includes more than a dozen automated machines assembling the entire set of parts for the window fittings. 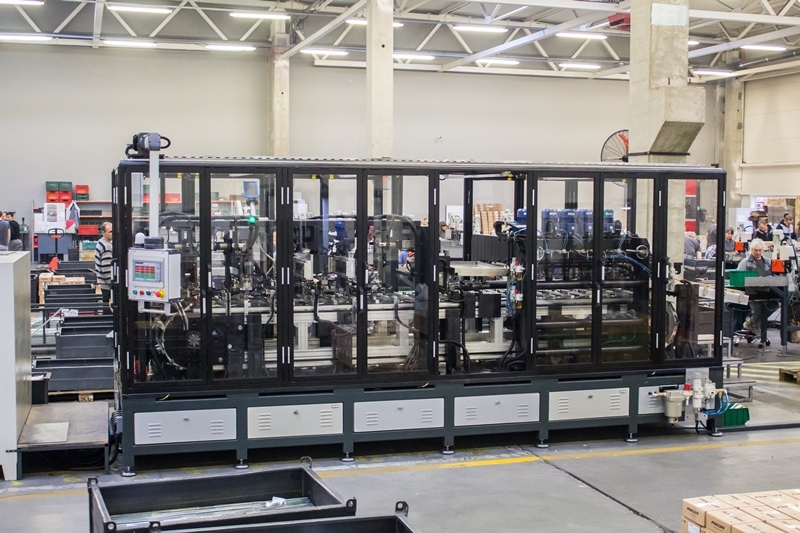 The automated mechanisms have also been employed in the Plant laboratory, where robots check the quality of products. Reference: the AXOR INDUSTRY is an International Company, which has its own modern AXOR Plant for the production of window and door fittings. Having invested EUR 25,000,000 in the construction at its initial stage, Vadym Yermolaiev jointly with a group of international investors opened the AXOR Plant in 2012. This enterprise represents a full-cycle production complex and is one of the largest plants in Eastern Europe in the industry. All processes are automated, consider the environmental protection measures, meet the EN and DIN standards, and recently have passed certification by the leading industry institute IFT Rosenheim (Germany). The AXOR INDUSTRY employs 550 people. The production capacity of the plant is 8 million sets per year.